It was a quiet Maundy Thursday and we decided to drive up to Laguna and visit Herbana Farms. From Alabang exit, SLEX was a breeze and we arrived in the farm in about 30 minutes. Herbana Farms is a 4 hectare ecological organic demonstration farm that sits on a hill with a panoramic views of Laguna de Bay, Mt. Makiling, Mt. 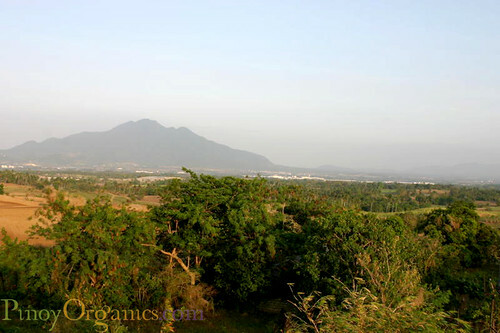 Malarayat, Mt. Makulot and the famous Tagaytay Ridge. It specializes in the production of herbs, organic salad greens, specialty vegetables and free-range chickens. One of the main goals of the farm, aside from organic crop and livestock production, is the creation of special gardens and crop fields to showcase both the organic and natural farming technologies and agro-ecological approach to sustainable agriculture. Two production systems are showcased in the farm – intensive gardens and field crop productions. A diverse garden featuring vegetables, herbs, and flowers have been established by previous farm interns. 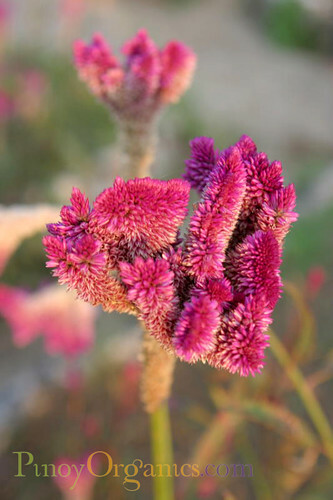 This includes both local and exotic vegetables and herbs, including cut flowers. The herb garden features both medicinal and culinary herbs. 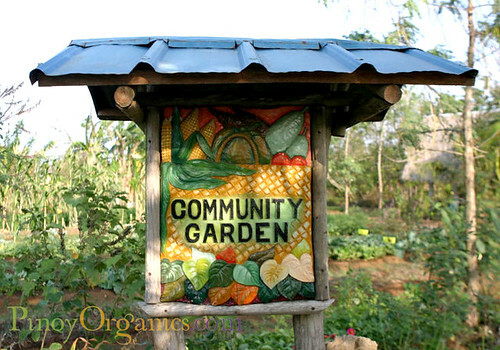 If you have been dreaming of sowing and harvesting your own organic produce yourself during weekends, enjoy the best of both worlds by signing up in Herbana Farms’ Community Garden. This project is designed for local folks and weekend farmers to participate by leasing garden plots for organic vegetable production. The farm helps the community in accessing organic technologies and inputs, including market for their produce. During the week, Herbana Farms will take care of your garden. Do you have kids? 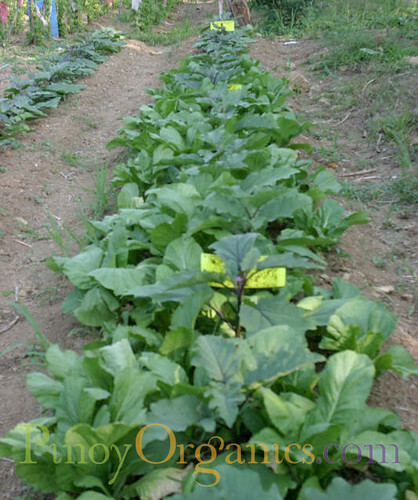 One of the activities that will make kids learn about farm life the fun and creative way is the Herbana Farms Kid’s Garden. It is a life lab where youngsters will be able to witness and learn the basic organic gardening first-hand. 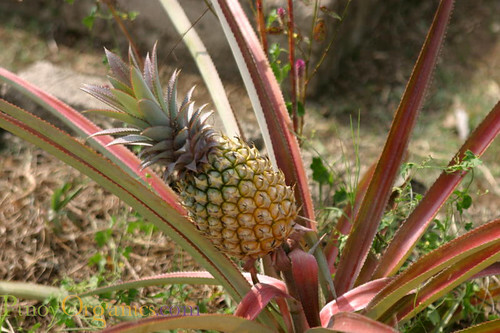 The garden showcases several sustainable garden systems such as composting, natural free-range chickens, pizza garden, and other learning structures and activities. Herbana Farms is also a training venue for people who wants to learn the different organic and natural farming technologies such as Bio-dynamic-French Intensive, Agro-Ecology and Korean Natural Farming. It conducts seminars, workshops, and short courses on sustainable farming practices and systems that provide training in farming and gardening of small-scale farms, classroom instruction and in-field training and hands-on experience in greenhouse, garden orchards, fields, and marketing outlets. There are about twenty modules available and are focused on both theoretical and practical organic gardening as practiced in their farm. If you want to know more about organic farming and how your vegetables are produced, check out our events page and join our upcoming farm and market tours and other Pinoy Organic events. 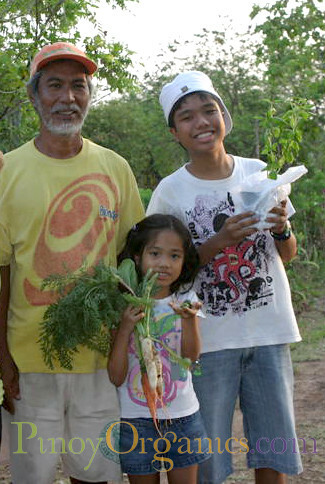 Have you ever been to an organic farm in the Philippines? It would be wonderful to have a weekend farm here in Cebu. 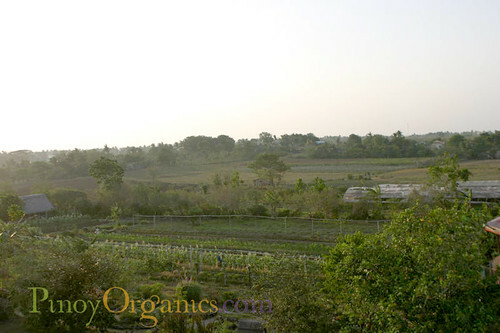 Herbena Farms , any plans in putting up a satellite farm here in Cebu? Would be lovely. WE ARE FROM CEBU. IT WOULD BE GREAT TO HAVE AN ORGANIC FARM HERE. YOUR HELP WILL BE GREATLY APPRECIATED. COUNT US IN WHEN YOU COME! How do I get in touch with Herbana Farms? Herbana products are available in weekend markets such as Salcedo Market and Mercato. Check out organic and natural products at Juan Market, too. Is there a Organic Farmers Market in tagaytay/are the products in their famous mahogany market organic? go to your farm as wwoofer. When is the right time/month ? how long is the minimum stay? what task are available in the month of August or September?